Installation Instructions and Video will be available soon. This kit is 100% bolt-in application that is very easy to install and will provide 4,160 lbs of vertical lift. All mounts, hardware, brass DOT push-to-connect fittings and single fill air lines are included. This is an install, set it and forget it system that will maintain set ride height automatically. 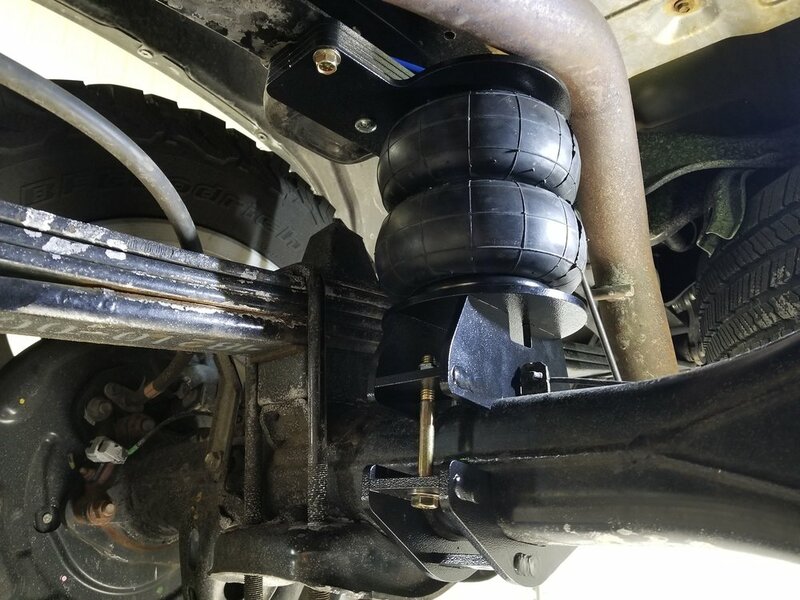 The kit ships complete with 100% bolt-on mounts, 100% duty cycle Viair 350C compressor, custom TGE seamless aluminium 2 gallon air tank, Dual Haldex class 8 controlled response leveling valves, plug & play wiring harness, brass DOT push-to-connect fittings, hardware and air lines.